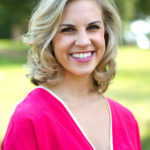 Meghan Stallworth is the practice leader for Training and Development at On The Same Page Consulting Group. Her focus is designing and implementing strategic solutions for organizations looking to increase employee engagement, employee-learning initiatives and attract strong applicants in the ever evolving intergenerational workforce. She will complete her Master’s Degree in Industrial-Organizational Psychology in Spring 2016. Leslie Freeman is our Strategy and Organizational Development practice leader. Her expertise is in guiding non-profit organizations to clarify their direction and build a culture of excellence. 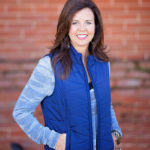 She works on special projects for On the Same Page as she serves as the Chief Operations Officer of The Foundry Ministries, where she is responsible for overall strategic direction, goal setting, performance management and creating a culture of learning to accomplish the organization’s mission and goals. Before joining The Foundry she pioneered a full-service agency consulting with nonprofits in the areas of brand strategy and media relations. www.thefoundryministries.org email leslie@onthesamepg.com.